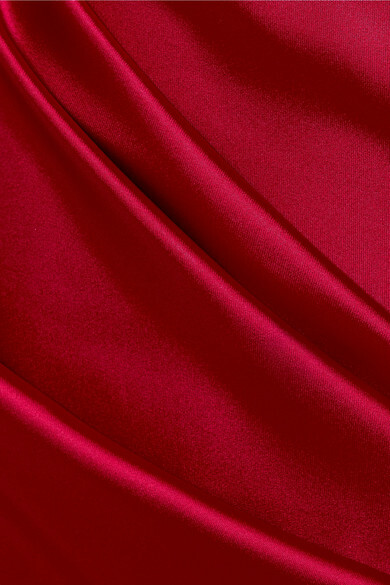 Talbot Runhof works with a very specific type of duchesse-satin because it clings to your body in all the right places. Made in Germany, this scarlet dress is ruched across the stomach and hips and has an elegant boat neckline. Sweep your hair to the side to showcase the low back and pretty ties. Shown here with: Jimmy Choo Clutch, Giuseppe Zanotti Sandals, Monica Vinader Ring.